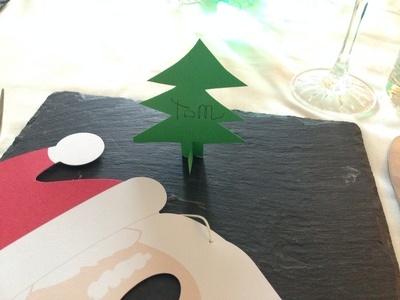 Create some easy Christmas tree place cards for your Christmas party table. 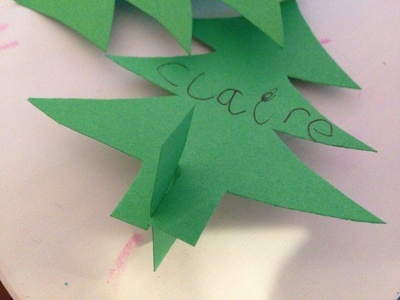 My kids enjoyed writing the names onto the place cards. 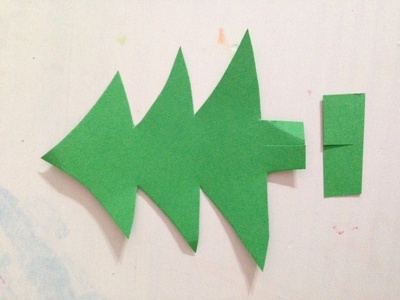 Cut Christmas tree shapes out of green card. 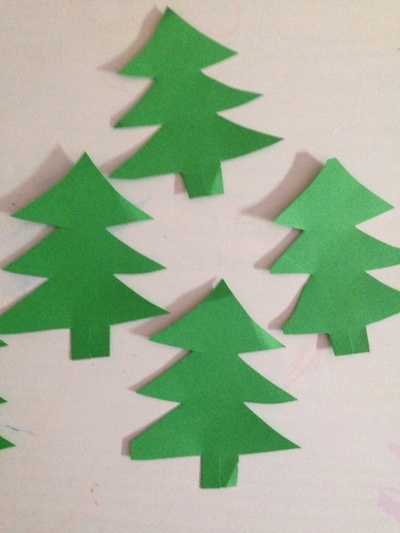 Write a place name on each tree. Cut a small rectangle out of green card to make a stand. Cut a vertical slit at the bottom of the Christmas tree (approx half a centimetre). Cut a matching vertical slit into the edge of the rectangular stand in the middle. Slot the stand onto the base of the Christmas tree. Your Christmas tree place card is now ready for the table.